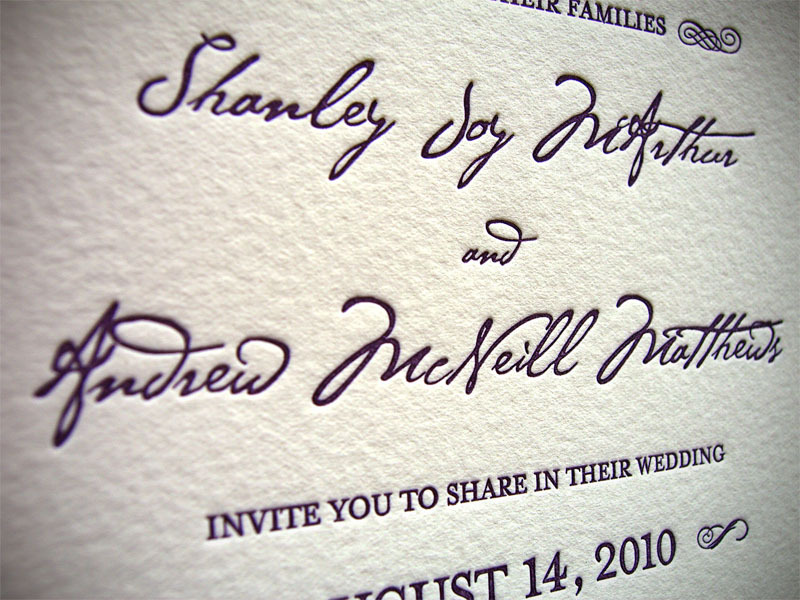 This is an invitation we printed for Shanley and Andrew with our letterpress printing service. 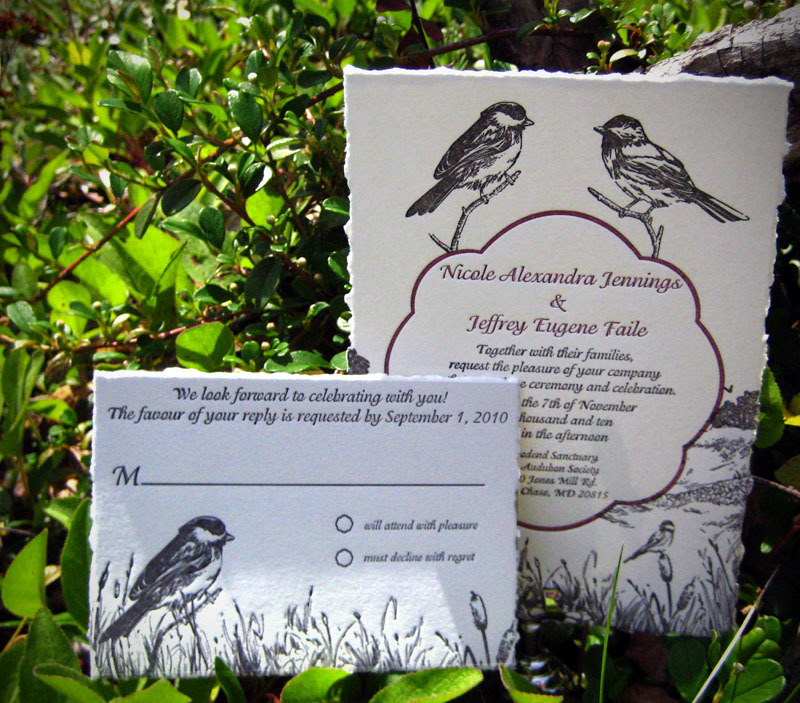 Shanley submitted her 1-colour design to us and we printed it for her! 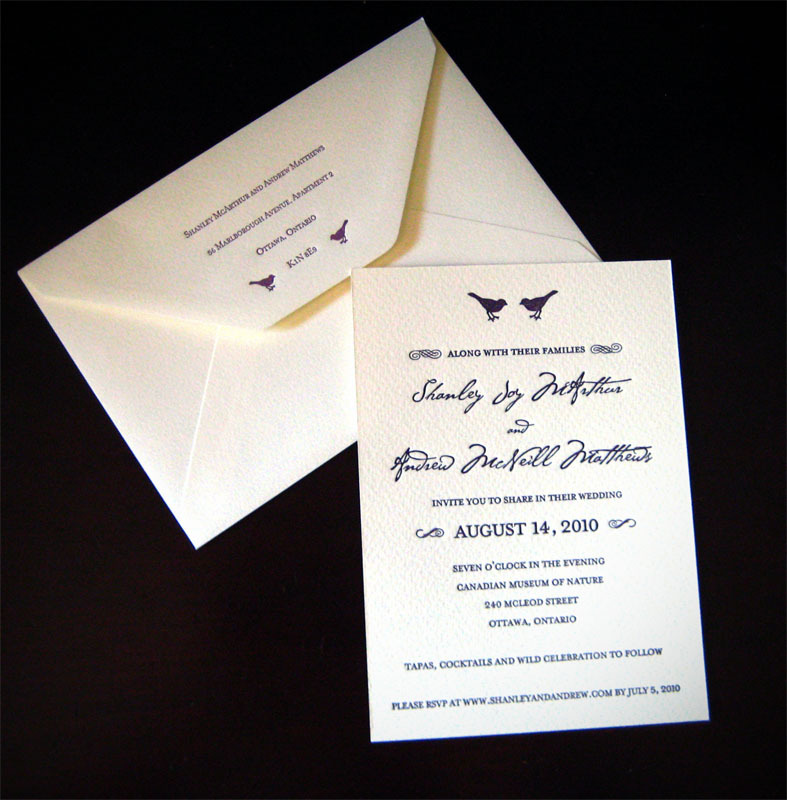 Printed on off-white Somerset Velvet and off-white Etrusca envelopes. 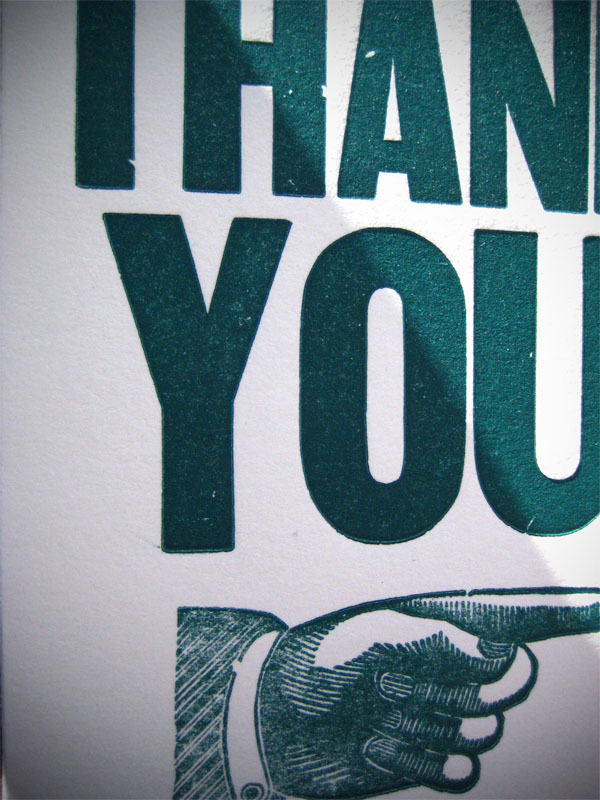 If you have your own design you would like printed, contact us for the printing guidelines. 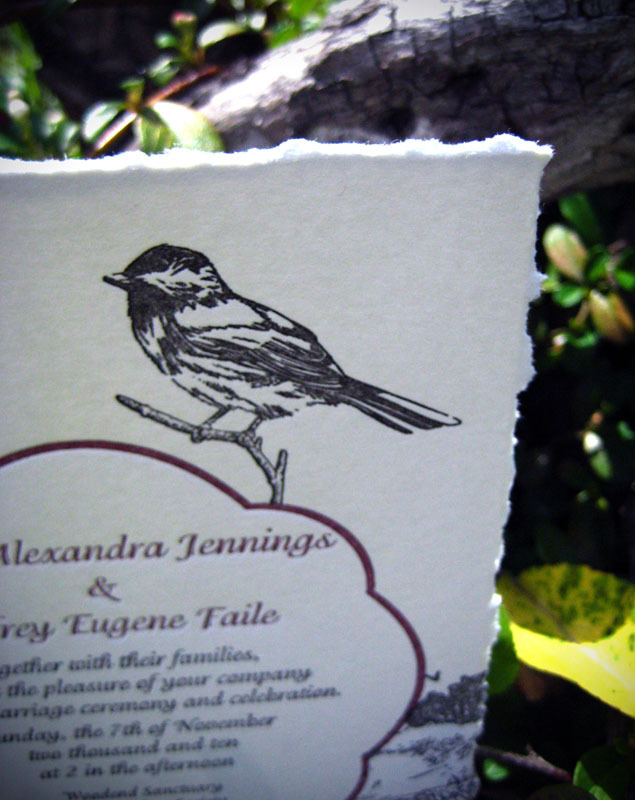 Here is a brand new card that is illustrated and printed by Papillon Press. 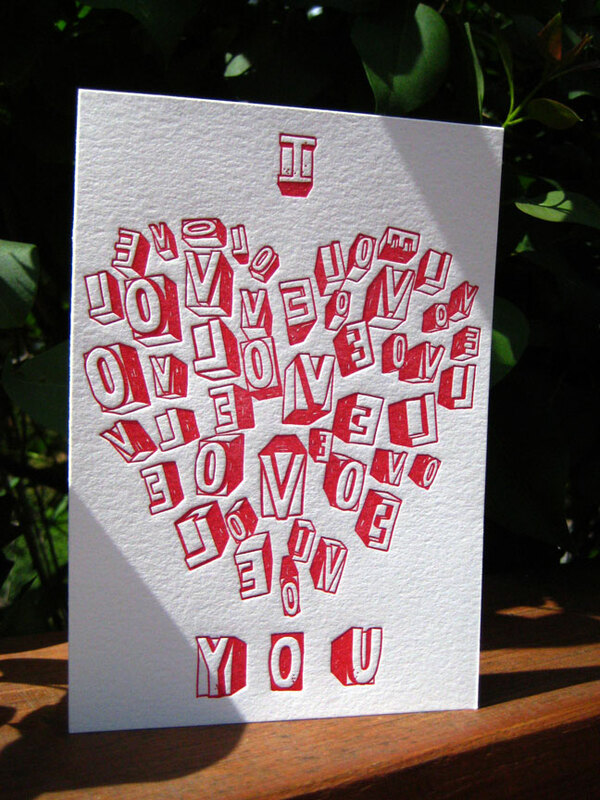 Why wait until Valentine’s Day to express your love? This card is great for any time of the year. 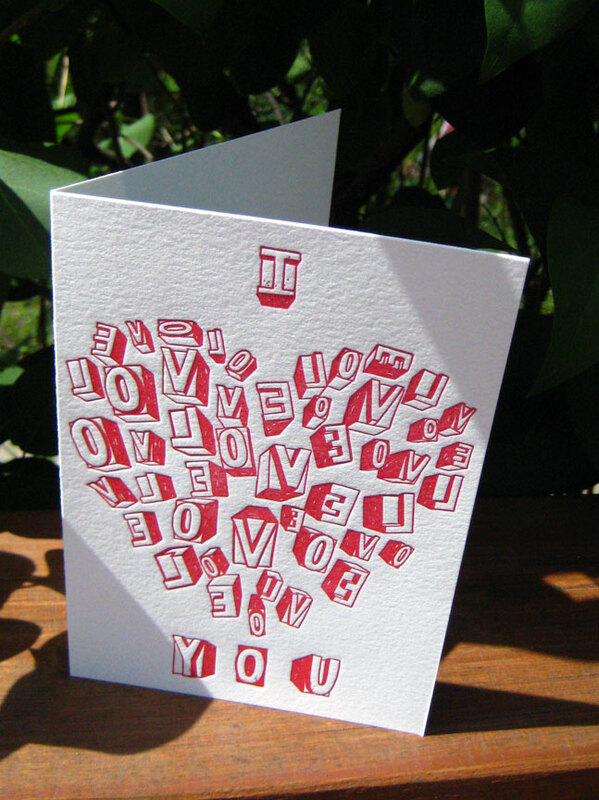 The heart on the card is illustrated to look like wooden letterpress type (which is why the letters are backwards). Buy a few cards today to send to family and friends throughout the year. 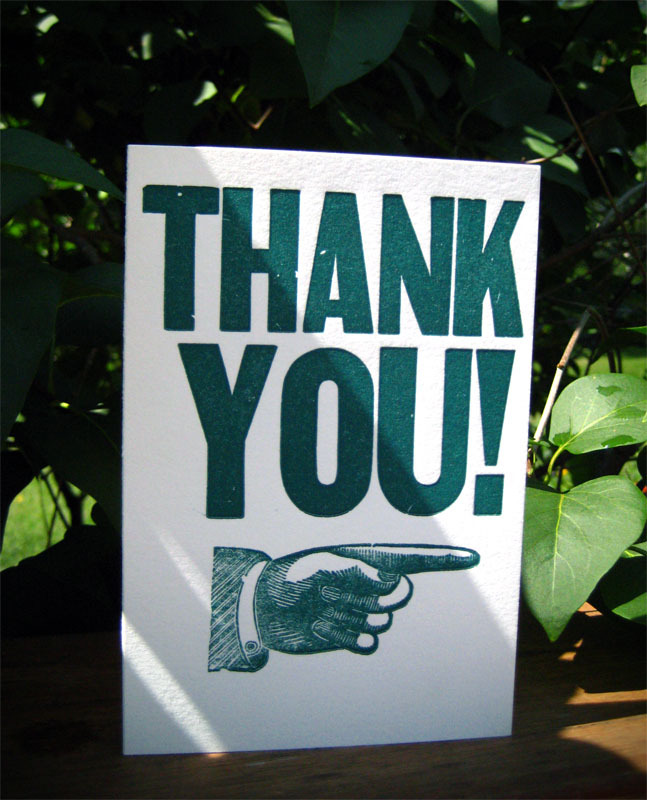 Visit our shop for this card and more. 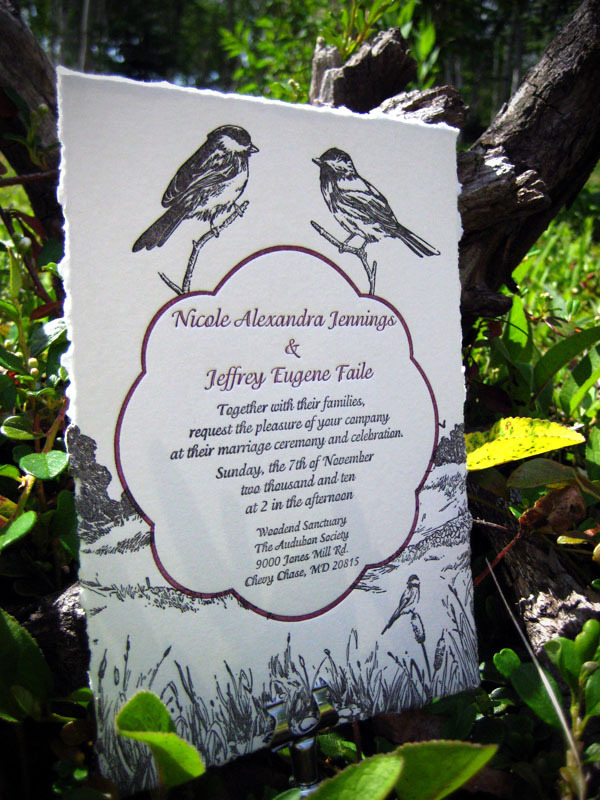 Printed on Pearl Lettra, this card is 4 x 6 inches when folded and is blank on the inside for you to write whatever you wish. 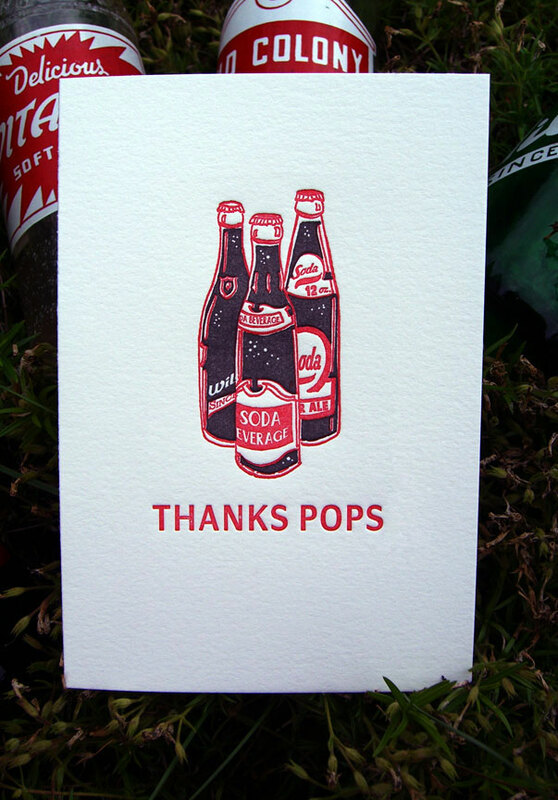 These Father’s Day cards are hot off the press in time for you to send something special to your Pops. 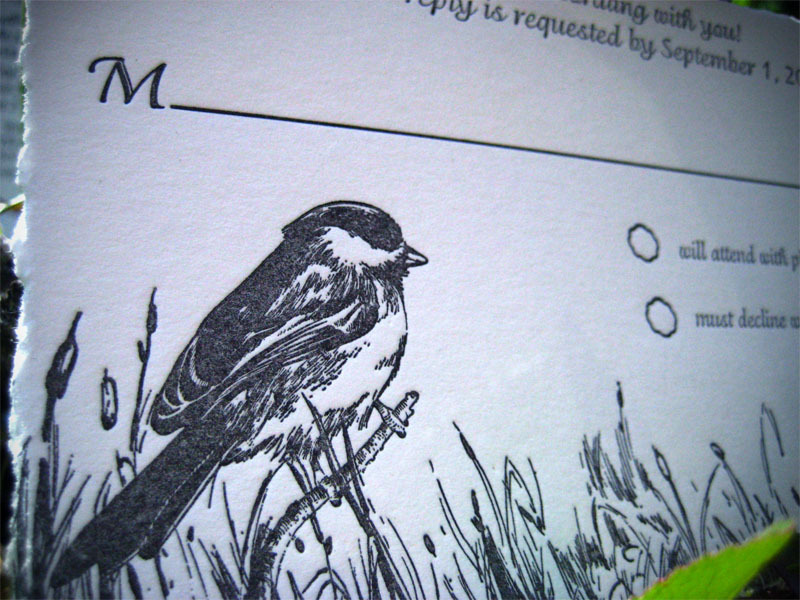 This card is 4×6 inches folded and the inside of the card is blank for you to write whatever you wish. 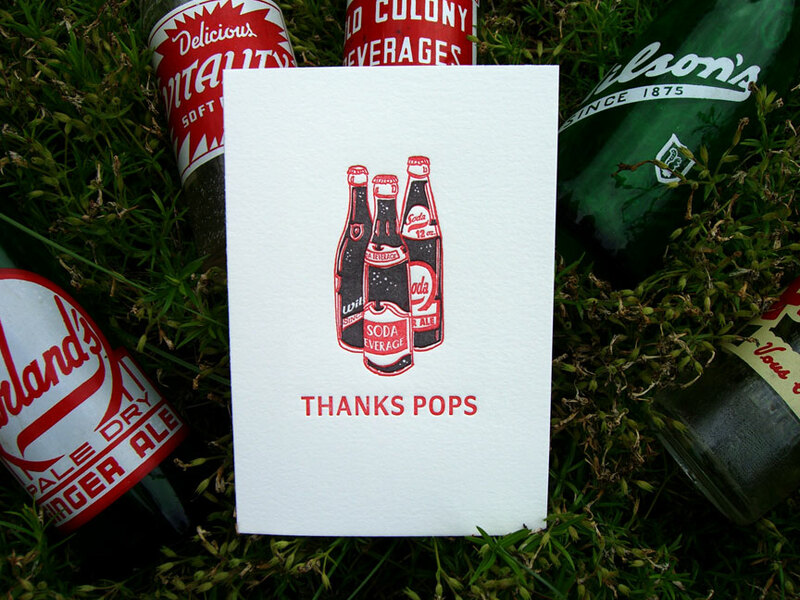 Give your Dad a refreshing card this Father’s Day (June 20th)! Visit our shop to purchase this card and see what else we have in store! 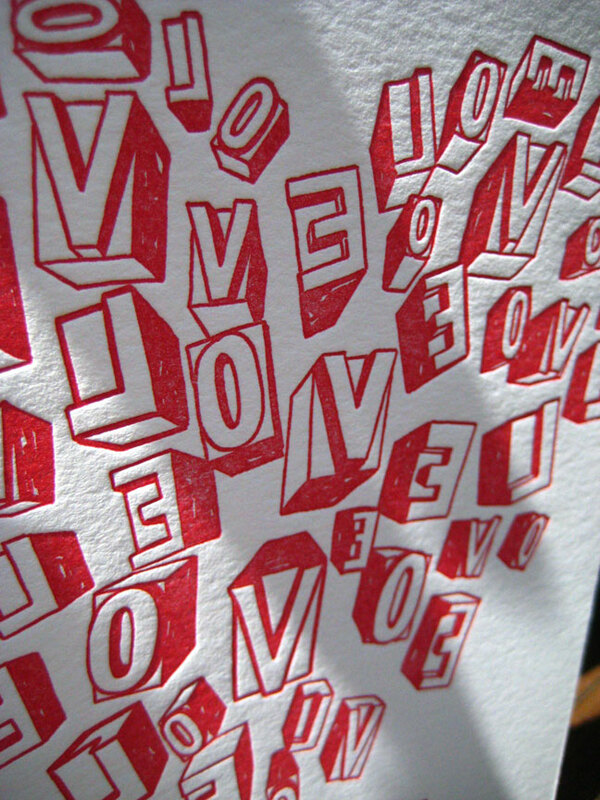 Printed in 2 colours on Pearl Lettra, 110 lb.